Whether you’re a homeowner, professional delivery driver or warehouse worker hand trucks are essential tools to move items safely while saving you from injury and multiple trips. Mid Florida Material Handling can guide you to the proper hand truck, cart, or dollie. There are several choices you have when determining your moving needs. We have hand trucks, dollies, pallet jacks, and carts. Choosing the correct equipment for your application is important to complete your moving task safe and efficiently. Once you have decided on the right hand truck for your application, taking care of it is very important. Maintenance of your hand truck should include, tire pressure check and wear, cracks in welds, and any other damage. Maintaining your hand truck, dollies and carts will prevent rust, wear and deflated tires. Huge Selection: MidFloridaMaterialHandling.com has a huge selection of hand trucks, dollies, carts. If you don't see the product(s) you are looking for please call us as we have hundreds of items available that may not be found on our website. Competitive Prices: MidFloridaMaterialHandling.com offers Hand Trucks, Dollies, and Carts at competitive prices! CLICK IMAGE BELOW TO VIEW MID FLORIDA MATERIAL HANDLING'S ONLINE CATALOG! 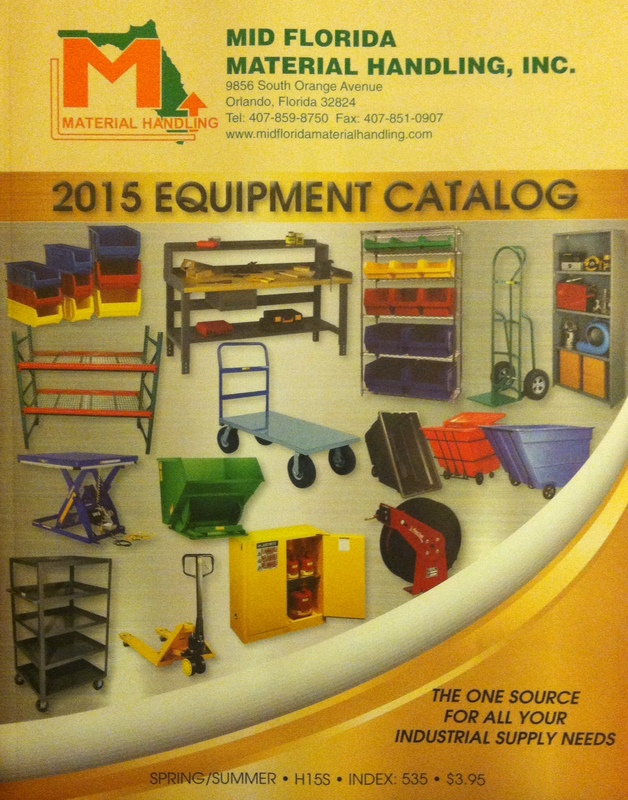 Mid Florida Material Handling Online Catalog!